So I ventured over to Amazon at Blog Post to see what the Amazon audience thought. Over 100 people gave it a collective rating of four our of five stars. Not bad. There was also a New York Times book review at Blog Post. My local public library had a copy. They gave me two weeks to read it. But it’s not a textbook. It’s a book about modeling and why predictive models fail. It goes into a bit of history. We dive into poker and baseball – two of Nate’s favorite statistical modeling applications. We follow weather, economics, politics and chess. In fact, this book presents the best explanation for the economic meltdown I’ve seen. It’s very interesting – yet it lacks a literary flair. There’s only book about mathematics with a literary flair I’ve read. 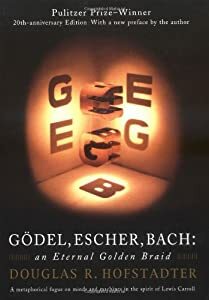 It’s call Godel, Escher, Bach: An Eternal Golden Braid by Douglas R. Hofstadter (see Amazon at http://is.gd/Hatuni ). Another literary flair book I recall is The Mythical Man-Month: Essays on Software Engineering by Frederick P. Brooks Jr. Nate’s writing style might be more terse than the previously mentioned books. This book lacks the engaging style of markers Zig Ziglar or Seth Goldin. It lacks the more personal touch of books by Napoleon Hill or Dale Carnegie. But it’s better than a textbook. I learned some new things. 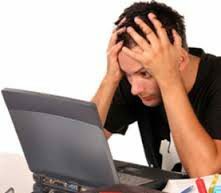 Some things I thought about in a different way. Perhaps if I had more than two weeks to read it, I could reread it a couple of times. But it’s definitely worthwhile.